I would just like to say up front that I haven’t seen ‘Iron Man’, ‘Captain America’, ‘Thor,’ or any of the movies that came before this film. But the idea still seemed pretty epic. A bunch of your favorite superheroes joining forces! What more could you ask for? Well, this film’s box office and critical reviews persuaded me to see it. Well, what can I say about this movie that hasn’t already been said? Much like ‘The Muppets’, I feel that I would have liked this movie a lot better if I was a fan of these MARVEL superheroes in the first place, but even I have to admit, this movie is AWESOME! 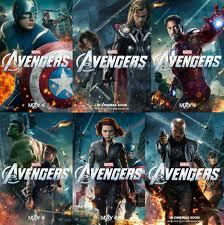 The story revolves around all your favorite superheroes joining together to stop the bad guy from Thor. Although I hadn’t seen the original films, I got a lot of the references that were made. The Avengers interact really well with one another, and even when a scene involves nothing but these superheroes talking, it’s still entertaining to watch. I kinda wish there was a scene where they played poker, but that’s the least of my worries. The action? Awesome. This is the kind of movie you need to eat popcorn while you watch it. The acting? Very good. My favorite performance would have to be Mark Ruffalo as the Hulk. The effects? Oscar worthy, no questions asked. I don’t think I need to go into too much detail about this film, because chances are, you’ve either seen someone else’s review of it, or seen the movie itself. A great action movie, even my mom had to admit that.